Chandra data on RX J0806.3+1527 (or J0806) show that its X-rays vary with a period of 321.5 seconds, or slightly more than five minutes. 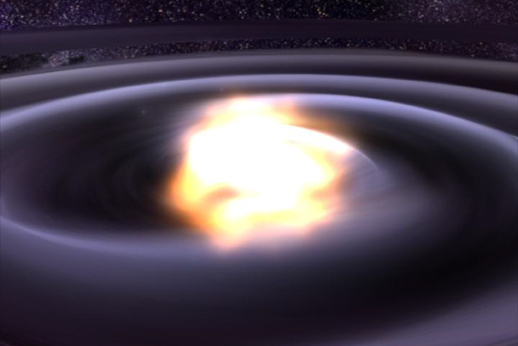 This implies that the X-ray source is a binary star system where two white dwarf stars are orbiting each other only 50,000 miles apart, making it one of the smallest known binary orbits in the Galaxy. 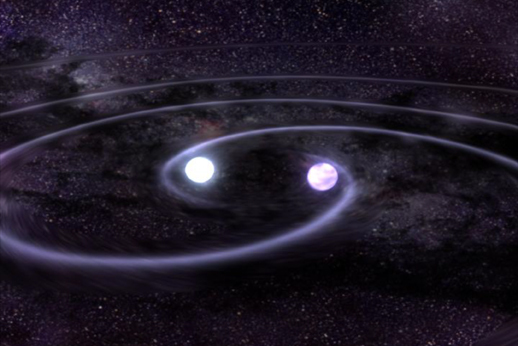 According to Einstein's General Theory of Relativity, such a system should produce gravitational waves - ripples in space-time - that carry energy away from the system and cause the stars to move closer together. 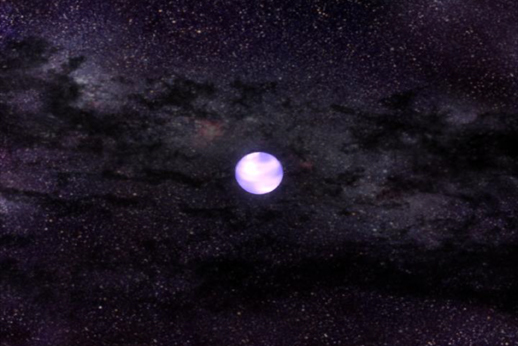 X-ray and optical observations indicate that the orbital period of this system is decreasing by 1.2 milliseconds every year, which means that the stars are moving closer at a rate of 2 feet per year. 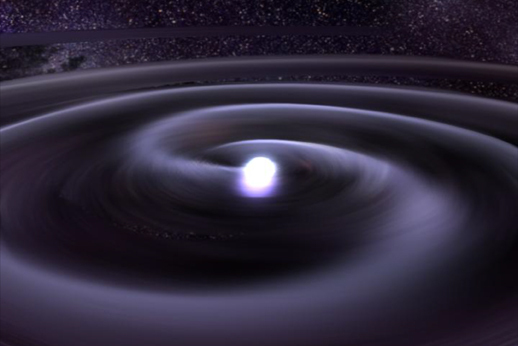 Two white dwarf stars, orbiting each other in a death grip and destined to merge, may be flooding space right now with gravitational waves. 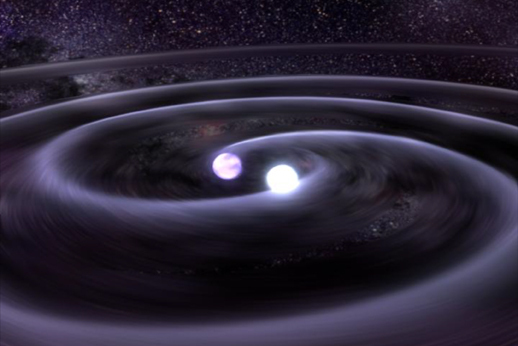 These waves are ripples in space-time predicted by Einstein but never detected directly. 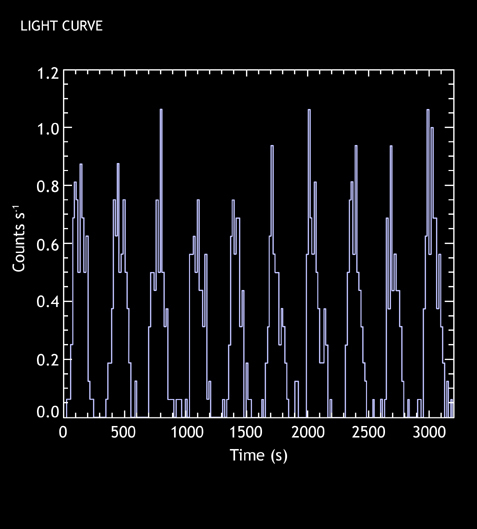 Einstein predicted that accelerating, massive objects emit gravitational waves, which propagate through space at light speed. A passing wave will cause the Earth, Moon and all matter to bob, like a buoy on the ocean, subtly altering the distance between them.